Is there a Roth IRA withdrawal tax? What if you withdraw funds too early? Unlike a Traditional IRA or 401k, qualified withdrawals from your Roth IRA are not taxed. However, if you fail to meet the requirements laid out by the IRS, then your withdrawals might very well initiate a visit from the tax collector. Before you make a withdrawal, it's important to know what causes these types of taxable events as well as what the actual effective tax rate will be. So let's take a more in-depth look at the Roth IRA withdrawal taxes. One type of Roth IRA withdrawal tax is the income tax. 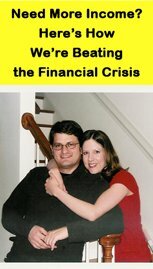 So what kinds of withdrawals trigger income taxes? Well, there can be several kinds. First, remember that withdrawing your original principal contributions is always a tax-free, penalty-free event regardless of your age, income, or your status in regard to the Roth IRA 5 year rule. But if you withdraw investment gains, rollover funds, or conversion funds too early, odds are you're going to owe income tax. So if you withdraw investment gains, rollover funds, or conversion funds from your Roth IRA before age 59 ½ or before your Roth IRA has been open and funded for at least 5 tax years, then you're to owe income taxes. If you owe income taxes as a result of early withdrawal from your Roth IRA, then how much do you owe? In such a case, the early withdrawal is considered part of your taxable income for the tax year in which you make the withdrawal. So the amount of income tax you owe depends on your current income tax bracket. Let's say you're 47 years old and your Roth IRA is worth $150,000 - $50,000 of which is original contributions and $100,000 of which is investment gains. You're also in the 35% tax bracket, and your account has met the 5 year rule. 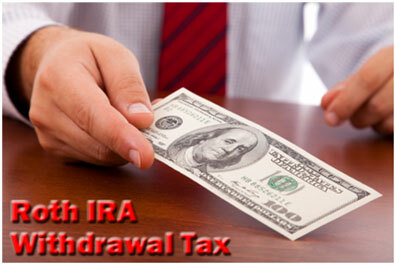 If you were to withdraw all of the funds in your account, what would your Roth IRA withdrawal tax be? First, the annual contributions you made can be withdrawn tax-free and penalty-free since you made them with after-tax dollars. So the first $50,000 you withdraw is tax free. However, the $100,000 investment gain is subject to income taxes since you're still under the age of 59 ½. Assuming you're still in the 35% income tax bracket after adding $100,000 to your taxable income, you'll owe $35,000 in income taxes. But unfortunately, that's not the only Roth IRA withdrawal tax you owe. In most cases, when you owe a Roth IRA withdrawal tax, you're going to owe both income taxes and a 10% early withdrawal penalty. This tax is assessed in addition to the income taxes you owe. So what triggers the early withdrawal penalty? Pretty much the same early withdrawal conditions that trigger income taxes. Then you don't have to worry about a Roth IRA withdrawal tax if you take funds out of your Roth IRA. Let's continue with the example from above. At age 47, you have a Roth IRA worth $150,000 - $50,000 of which is original contributions and $100,000 of which is investment gains. You're in the 35% tax bracket, and your account has met the 5 year rule. If you were to withdraw all the funds in your account, you end up paying $45,000 in Roth IRA withdrawal tax. First, the annual contributions you made are withdrawn tax-free and penalty-free since you made them with after-tax dollars. Since you're still in the 35% income tax bracket after the withdrawal, you owe $35,000 in income taxes. But you also owe a 10% early withdrawal penalty since you're under age 59 ½. That 10% penalty is assessed on the entire early withdrawal - in this case, $100,000. As a result, you owe $10,000 due to the early withdrawal penalty. And $35,000 in income tax, plus $10,000 from an early withdrawal penalty is $45,000. You can avoid the Roth IRA withdrawal tax all together by simply waiting to make withdrawals from your account. The 10% penalty and income taxes are only applied to early withdrawals of investment gains, rollover funds, and conversion funds. So if you simply wait until age 59 ½ and until you've met the provisions of the 5 year rule, then all your Roth IRA withdrawals will be tax-free!